As the use of fibre continues to grow within networks the need to troubleshoot the fibre increases also. 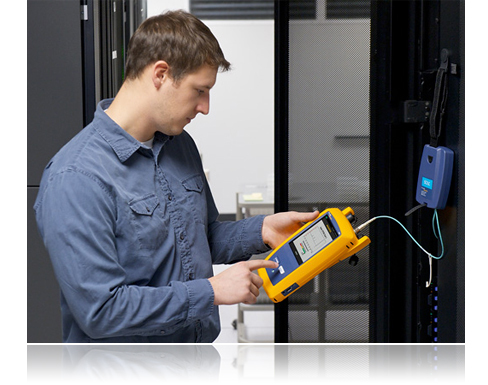 Traditional light loss test equipment can tell you if the fibre is working or not, however you probably already know that the fibre isn’t working, so how does that help? 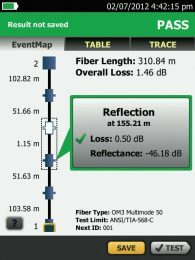 OptiFiber allows you to troubleshoot the fibre by giving you precise distances to each event and measuring the performance of each join and splice along the way. 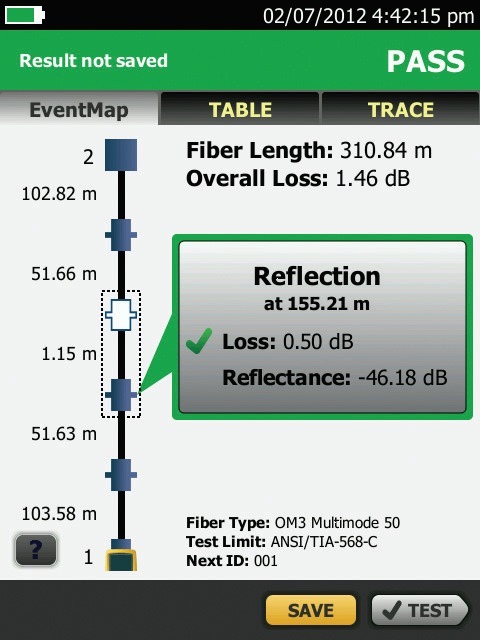 OptiFiber launches a very bright light down the fibre and records reflection and loss events seen along it's length; such as splices, joints or even bends and breaks. By measuring how long reflections take to come back and the signature of the reflection itself OptiFiber can identify; the distance to a break, a single joint that is letting the link down, a bad splice or a sharp bend that is obstructing the light. Measurements of distance are very precise and as a result private network owners find the results very useful when solving issues. The unique smart screen user interface then displays all this information in a simple to understand picture. 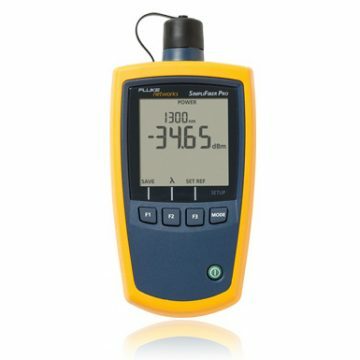 The OptiFiber is able to detect patch leads as short as 1 meter and it's all done using an automatic test function, all you need to do is plug in and press test! There's never been a better time to get into fibre – ask about the trade up promotion! To arrange a discussion with one of our engineers call us now on 01677 428700 or email info@fullcontrolnetworks.co.uk, alternatively you can see it on Fluke Networks website. 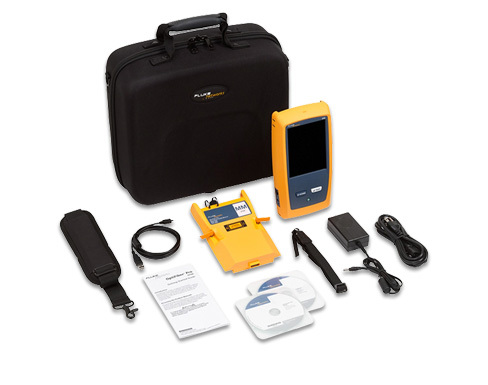 Why not request your copy of the Fibre Test & Troubleshooting Handbook from Fluke Networks. This comprehensive, 44-page resource covers the fundamentals of how to inspect and clean, test, troubleshoot and document fibre cabling infrastructure installations. It includes best practices and screenshots too! 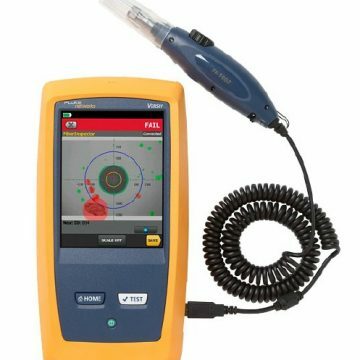 OptiFiber Pro combines the latest “gesture-based” interface technology with a capacitive touchscreen to deliver the most innovative and user-friendly OTDR. Bringing you single-touch tap and swipe control for selecting and scrolling menu items, and multi-touch pinch to zoom for easy magnification control on a graphical fiber trace. The OptiFiber Pro leverages the most sophisticated optical technology to provide the shortest event dead zone (0.5m typical for MM) and attenuation dead zone (2.2m typical for MM and 3.6m typical for SM) of any OTDR. 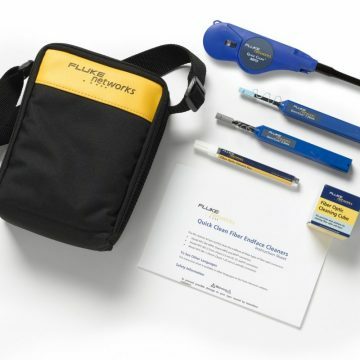 This technological advancement allows OptiFiber Pro to detect and measure closely spaced faults where no other OTDR can in today’s connector-rich data center and storage area environments. Another breakthrough with OptiFiber Pro is the data acquisition speed. While in Quick Test mode, a complete set of data is acquired in as little as two seconds per wavelength. 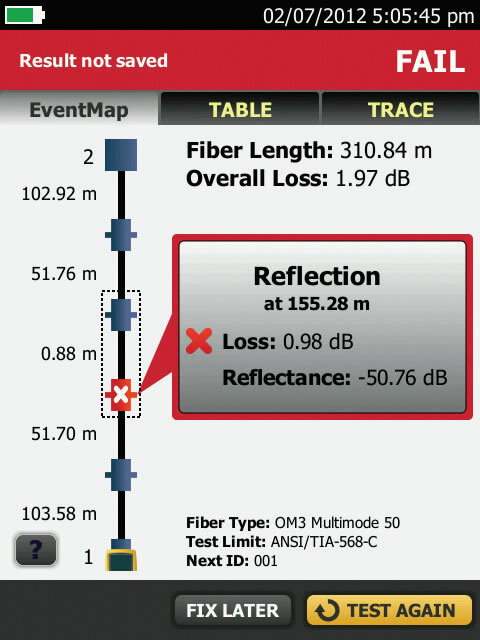 OptiFiber Pro then analyzes the data and displays it as an EventMap event, Table or Trace. The end result is less time spent testing and more time performing other tasks. With a simple one-touch selection, users enter DataCenter OTDR mode – without setup time for fine tuning as needed in legacy OTDRs. 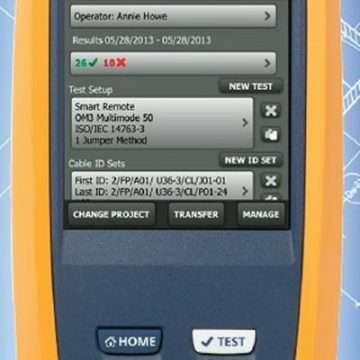 DataCenter OTDR mode automatically detects OTDR parameters – end-detection algorithms, pulse widths, etc – without getting confused by the short links or number of connectors. 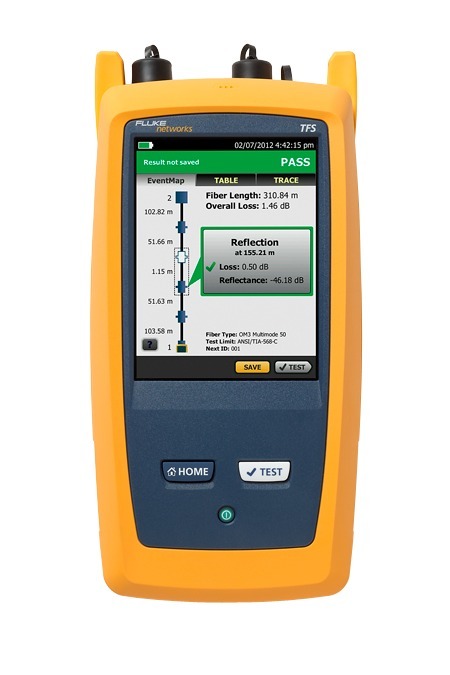 To eliminate the learning curve associated with reading an OTDR trace, OptiFiber Pro’s advance logic automatically interprets the information to create a detailed and graphical map of events that includes connectors, splices and anomalies. To accommodate different preferences, users can easily switch between the EventMap, the Event Table and the Trace for test details. Any faulty events will be highlighted with RED icons to facilitate quick troubleshooting. OptiFiber Pro enhances job efficiency by allowing the workflow planner to create and manage operator and job profiles per project – defined jobs or sets of cable IDs can be assigned to specific operators. The progress and status of each project can also be easily monitored.